Swedish massage is one of the most common methods of massage and is used for the overall well-being of the mind, body and health. Our Swedish massage specialists work with the primary goal and mindset of relaxing your entire body. The overall style of the Swedish massage is to use a variety of strokes to increase oxygen levels and relaxation. Our customers leave stress-free and experience thriving health. 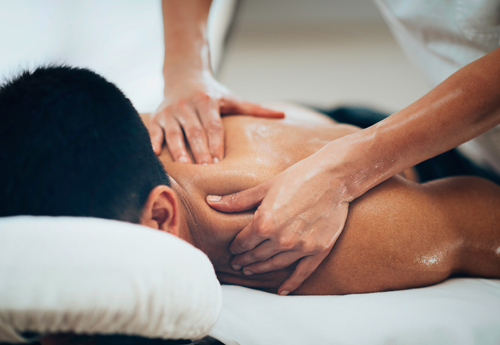 At Best Choice Massage, every session is fully customized taking into account the health benefits of our customers making the whole massage experience quite pleasant. Our highly professional therapists focus on giving the best therapeutic and relaxing treatment to our clients. We at Best Choice Massage essentially believe that our clients get what they deserve i.e. the best massage treatment of their life. And to make this a reality our massage therapists work very hard. Swedish massage therapy is a great way of handling overall blood circulation because of the way it opens up the tissues. And our professional massage specialists can help you in achieving that. By decreasing tension it allows things to flow more smoothly and helps stimulate the immune system. Swedish massage is also quite helpful when it comes to healing from light injuries. When things are flowing more smoothly between tissues it allows the body to heal more quickly. Swedish Massage is a general purpose type of massage that is great to achieve full body relaxation. Our professional masseuses have many years of training in Swedish Massage and you are guaranteed to walk out of the studio feeling a sense renewal and calm. You will feel the stresses of everyday life slip away as the calming effect of Swedish Massage takes hold. Best Choice Massage is your escape for a calm therapeutic massage. Though many have thought massage therapy to be a form of relaxation, clinical studies have proven therapeutic massage techniques to be a positive and lasting way to improve your overall health and lifestyle. We take pride in excellent service and strive to provide a massage experience that lets you say goodbye to stress! © 2018 Main Street Media 360. All Rights Reserved.